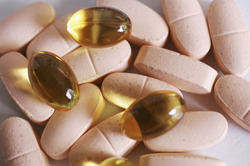 As an affluent name of this domain, we hold expertise in presenting high quality of Vitamin D3 Medicines. Vitamin D (ergocalciferol-D2, cholecalciferol-D3, alfacalcidol) is a fat-soluble vitamin that helps your body absorb calcium and phosphorus. Having the right amount of vitamin D, calcium, and phosphorus is important for building and keeping strong bones. 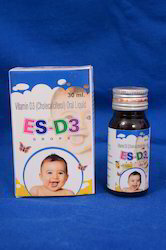 Vitamin D3 (Cholecalciferol) is a form of vitamin D.
It is useful in for preventing and treating vitamin D deficiency, for preventing and treating rickets and renal osteodystrophy. With our profound expertise in this field, we are instrumental in offering our clients a wide range of Cholecalciferol Drops.